File-storage company Box has acquired Butter.ai, a startup whose software lets users search within files across multiple work applications. Butter.ai will be shutting down its application as part of the deal. Bottom line: Box's customers—other businesses—have to contend with an ever-growing amount of data and files, making it critical for workplace tool providers like Box to help them sift through and filter all that information. One way Box is working to do this is through features like Box Feed, which gives a company's employees a personalized stream of updates about files relevant to them—similar to Facebook's News Feed. This includes files they worked on that may have been updated by a colleague, files from teammates that could be useful to their work, or files that are popular within the company such as benefits updates from the HR department. The other way Box wants to help its customers is by improving its search tools, Box co-founder and CEO Aaron Levie told Axios. 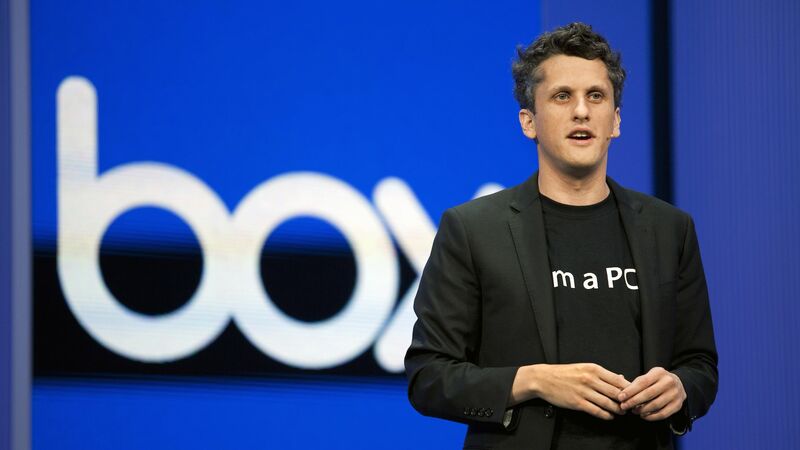 Files only: For now, Box's integration of Butter.ai's tech will be focused on searching through files, says Levie. But he adds that the company eventually wants to help users find things in other work tools, like chat. Backers: Butter.ai raised funding from General Catalyst, Slack's fund, and was part of All Turtles, former Evernote CEO Phil Libin's startup studio, which provided resources and help but no financial investment. The story has been updated to clarify that All Turtles did not invest in Butter.ai. Dropbox, a file storage and sharing company, has filed for a $500 million initial public offering. Offering details: The San Francisco-based company plans to trade on the NASDAQ under ticker symbol DBX, with Goldman Sachs listed as left lead underwriter. Financials: Dropbox is not profitable yet. It reported net losses of $210.2 million and $111.7 million in fiscal 2016 and 2017, respectively. Dropbox brought in $844.8 million in revenue during the fiscal year of 2016, and $1.1 billion in fiscal 2017. More than 500 million registered users, in more than 180 countries—though it double-counts people who have multiple separate accounts. 11 million paying users, up from 8.8 million in 2016, and 6.5 million in 2015 (same note as above). Average revenue per paying user (ARPU): $111.91 in 2017, up from $110.54 in 2016, and down from $113.54. 90% of its revenue is from self-serve channels. More than 500,000 developers had registered and built applications using Dropbox's tech as of Dec. 2017. Backers: Dropbox has raised more than $1.7 billion in venture capital and debt financing, and was most recently valued at about $10 billion. Its major backers include Sequoia Capital, Accel, T. Roe Price, and Green Bay Ventures. The story has been updated with more information.